Grayson was a young college student who had issues with his front teeth. 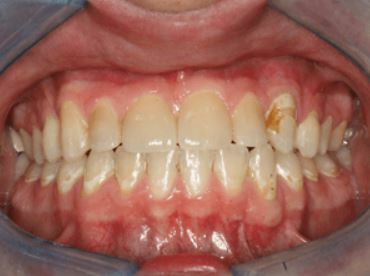 Most of the enamel chipping was due to neglect while undergoing orthodontics procedures and during home oral hygiene. Although the recommended treatment was a combination of crowns and veneers, finances limited Grayson to addressing only the front two teeth. 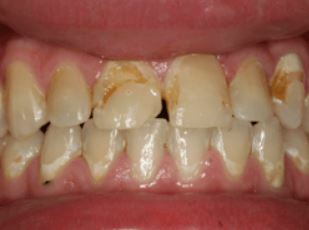 He will pursue treatment for the remaining teeth at a later date. However, the result that we achieved in fixing the front two teeth was amazing. The shape, color, and size of the teeth were in perfect proportion to the remaining teeth.